10% Off First Orders with Newsletter Sign-ups at Hollister Get all the latest news from Hollister and 10% off your next order! 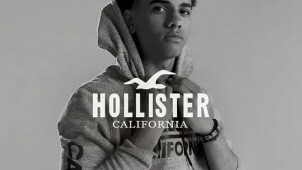 Up to 40% Off in the Sale at Hollister Catch the incredible deals available at Hollister before they're gone! £40 Off Selected Womenswear Items in the Sale at Hollister From tops to dresses, you'll be amazed at the bargains you can find in the Hollister Spring Sale. Find £59 Off Men's Coats and Jackets at Hollister No need to break the bank when you buy a new coat or jacket. Get one in the sale for less! Free Delivery on Orders Over £50 at Hollister Say goodbye to delivery fees when you spend £50 or more at Hollister. £35 Off Selected Dresses and Rompers at Hollister Look amazing for less in any of the discount dresses sold at Hollister! Free Click and Collect from Stores at Hollister Collect your order from your nearest Hollister store and you won't pay a penny for delivery! New Gilly Hicks Arrivals from £9 at Hollister Find Gilly Hicks underwear at Hollister starting from only £9! 3 for £15 on Women's Underwear at Hollister Get great savings on underwear at Hollister. ​The first Hollister store was opened in the Easton Town Center in Columbus, Ohio in 2000 and today, Hollister stores can be found in the U.S., UK, Canada, Ireland, Scotland, Spain, and Italy - this brand has now become a true worldwide favourite for cool and casual apparel that'll make you feel sunny all year round. With ranges of quality jackets, graphic tops and bottoms for both girls and boys - the Hollister style is that fancy-free, preppy look - perfect for hanging out with friends, hitting the beach, slopes and much more. For the outdoors type and for those who like to feel on trend - this is the brand for you. Part of Abercrombie & Fitch Co., one of the leading fashion brands in both the UK and U.S, Hollister is perfect for people of all ages with its ‘SoCal’ inspired casual wear. For the perfect jeans, look no further and for seasonal trends alongside staple lines, you will always keep your look fresh with Hollister. Shop Now Trending and for yourself or another - you'll be sure to find a modern and feel-good look to let you start living just how you want to! How do I use my Hollister discount code? Choose the offer that you’d like to use here at vouchercloud and click the ‘View Deal’ button, or ‘Get Code’ link depending on the type of offer you have selected. This will bring up a window with the information that you need to redeem your chosen deal. If you require a code to complete your offer, you will be given this now to copy. Follow our link to the Hollister site and add any items you'd like to your bag. Click on the bag icon to see your shopping bag and enter your discount code into the promo code field provided. Click 'Apply' to redeem your discount. Any other offers which don't require a code will be given automatically so you can continue to checkout. Get 10% off your first Hollister order when you sign up to the newsletter. That way you’ll be kept up to date too on new arrivals, sales and much more. Does Hollister offer student discount? Students can get 10% off Hollister with a verified UNiDAYS account. Does Hollister do free delivery? Standard Delivery currently costs £5 with Hollister but stay in touch and we'll let you know if anything changes! Where is my nearest Hollister store? You can use the handy store locator online to find a Hollister store near you. Use the online chat, fill in the contact form or tweet your questions to @HollisterCoHelp. Make yourself a cool resolution this summer and get down to Hollister - a brand that’s always on trend with its signature preppy and sunny, surf look. With a Hollister promo code you can save on everything that you need for your upcoming holiday, a music festival, day in the park, at home or on the town. From hoodies, swimwear and shirts to dresses, denim and accessories - you’ll always find your style with Hollister. Hollister has a brand called Gilly Hicks which is where women can find beautiful underwear and cool loungewear too. For cosy hoodies, rompers and nighties too - it's easy to get kitted out for the home as well as for your daily adventures with Hollister. With different types of bra on offer too, you really will feel summer stylish from head to toe with Hollister. Get yourself some summery shorts from the fine folks at Hollister. For men and women alike, Hollister provides a huge selection of styles to choose from so browse with a Hollister discount code today to save on style and comfort all in one. With super skinny denim, classic fleece, cargo, longboard shorts and beyond, you'll be sure to find what you need amongst its pages. For variety in those wardrobe must-haves - make Hollister your go-to today.